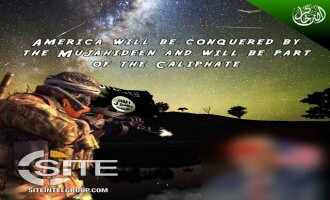 An Islamic State (IS) supporter, possibly based in the U.S., discussed using explosives and napalm in attacks on U.S. military personnel and veterans in Nevada as well as his ability to buy guns as a non-felon. 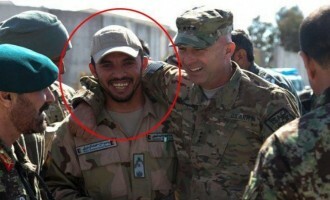 The Afghan Taliban claimed killing three American soldiers and a "large number" of Afghan commandos in a clash following a failed air landing operation in Uruzgan. 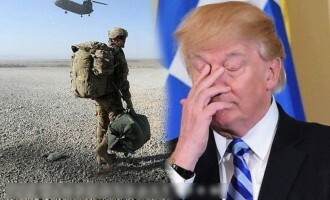 Focusing on the final tweet for 2018 by U.S. President Donald Trump, wherein he noted his campaign promise to withdraw American soldiers from Syria and other war zones, the Afghan Taliban regarded Trump as the "American Gorbachev". 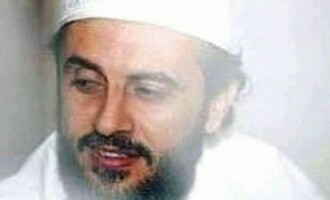 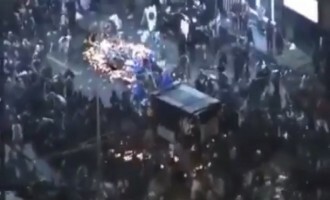 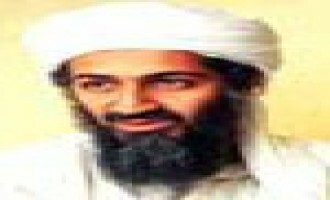 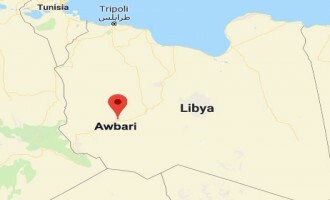 Al-Qaeda (AQ)-linked jihadists confirmed the killing of Jamal al-Badawi, the organizer of the 2000 USS Cole suicide bombing in Aden, Yemen, in a U.S. airstrike, and warned that the "generations" he established will continue to fight America. 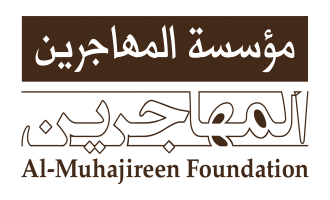 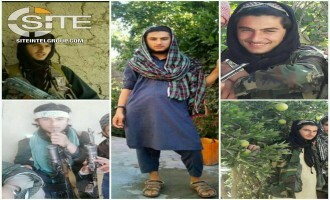 After Syrian Democratic Forces (SDF) announced the arrest of two Americans, two Pakistanis, and an Irish national in Deir al-Zour, an Islamic State (IS)-affiliated group warned foreign fighters to avoid entering among civilians. 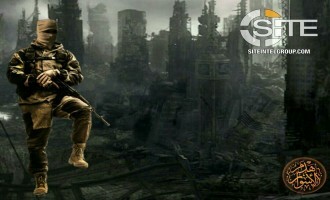 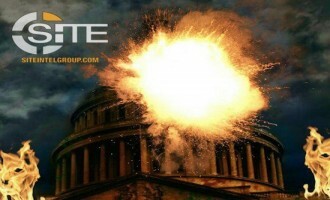 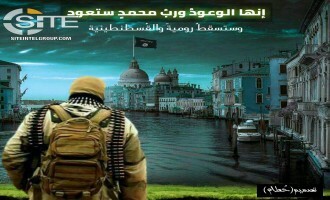 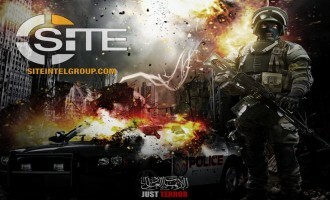 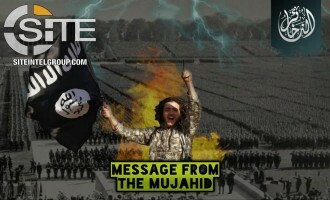 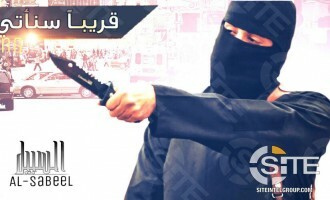 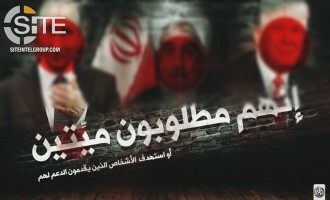 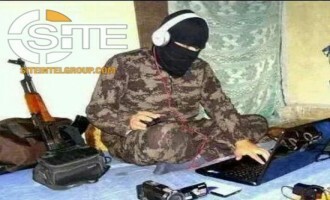 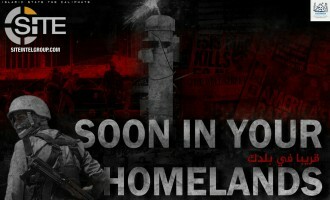 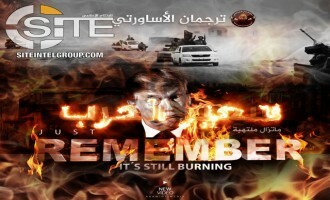 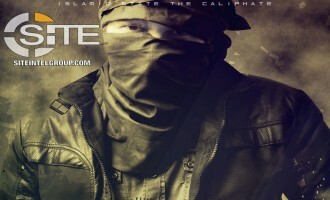 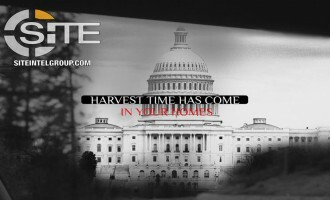 Islamic State (IS/ISIS) supporters disseminated graphics inciting for attacks in the United States, publishing threatening posters featuring U.S. President Donald Trump and the Capitol Building in Washington, D.C. 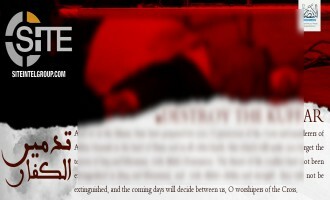 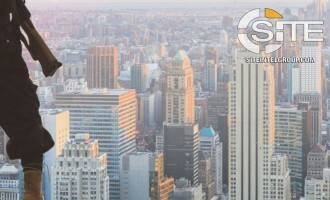 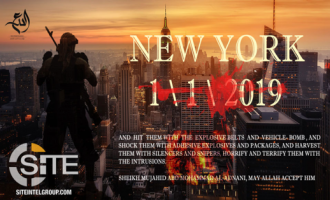 Prominent Islamic State (IS/ISIS)-linked groups are inciting supporters to carry out lone actor operations in New York City on New Year’s Eve. 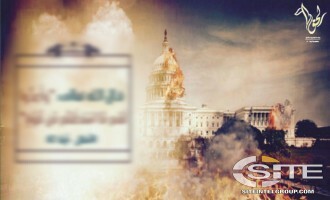 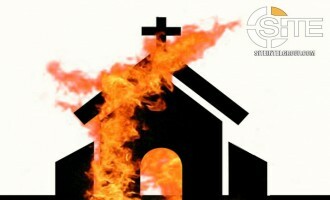 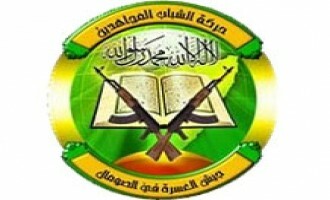 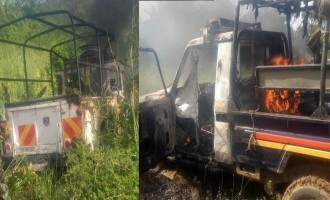 Similar to pro-Islamic State (IS) jihadists earlier, supporters of al-Qaeda (AQ) designed and distributed posters portraying the California wildfires as divine punishment. 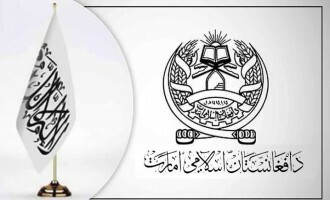 The Afghan Taliban acknowledged a three-day meeting with a "high-ranking" American delegation in Qatar, calling them "preliminary talks" aimed at reaching a "true solution" to ongoing war in Afghanistan. 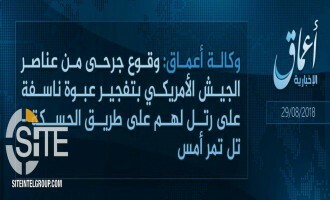 The Afghan Taliban claimed killing two American soldiers and wounding a third in attack in neighboring Helmand and Uruzgan provinces. 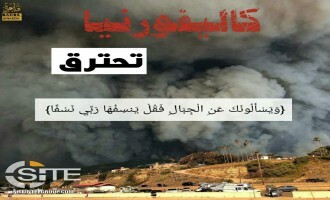 An Islamic State (IS)-aligned group called the wildfires ravaging California a "punishment" from God for U.S. bombing of Muslims in Syria. 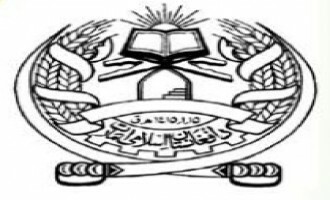 After acknowledging a meeting between representatives of its Political Office in Qatar and a U.S. delegation, the Afghan Taliban described the event as America accepting military loss, and representing a "pivotal path" to attaining peace. 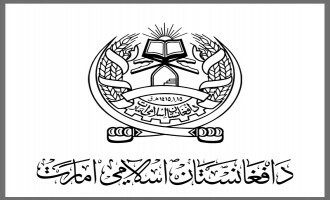 The Afghan Taliban acknowledged that its Political Office in Qatar met with a U.S. delegation regarding a "peaceful resolution to the Afghan conflict". 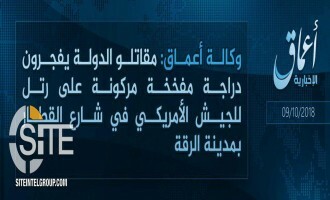 The Islamic State's (IS) 'Amaq News Agency reported that group fighters in Raqqah, Syria, detonated an explosives-laden bicycle on a U.S. military convoy. 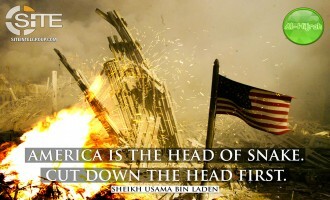 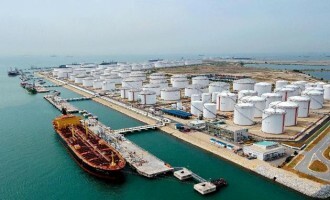 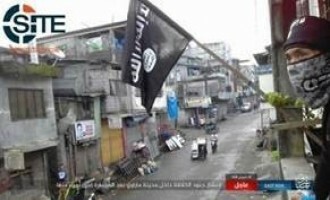 An Islamic State (IS) supporter echoed the strategy of former al-Qaeda (AQ) leader in hitting the economy of the "head of the snake," America, to cause its collapse and end its global influence. 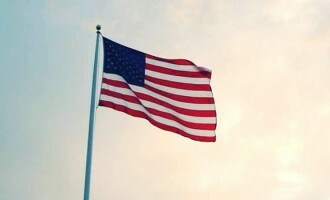 The Afghan Taliban claimed killing over 10 U.S. troops in attacks in Helmand province in southern Afghanistan and Parwan in the northeast of the country. 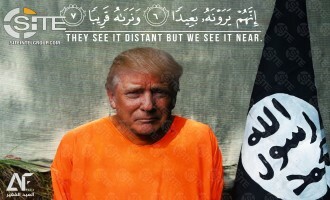 A pro-Islamic State (IS) group portrayed U.S. President Donald Trump shot in the head, in a poster claiming that fighters will ultimately conquer America. 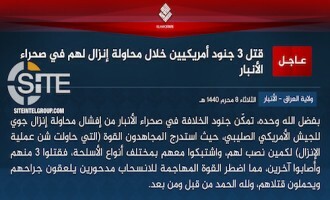 The Islamic State (IS) claimed killing three U.S. soldiers during an attempted airdrop in Anbar, Iraq. 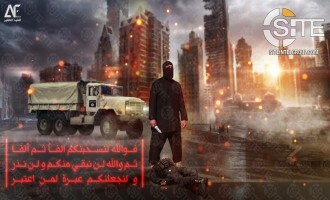 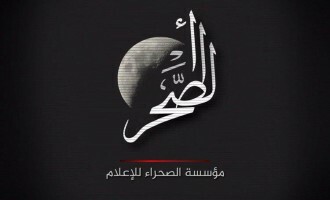 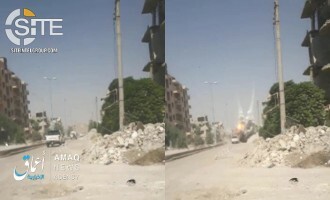 An al-Qaeda (AQ) supporter distributed a message explaining why the United States is a higher priority target than other Western forces, focusing on its economy and military and technological abilities. 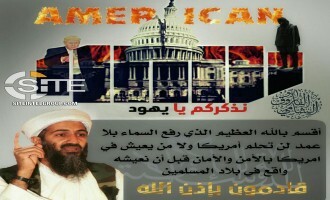 In its 17th anniversary production commemorating the 9/11 attacks, al-Qaeda (AQ) released a speech from its leader, Ayman al-Zawahiri, advising how to "confront" America. 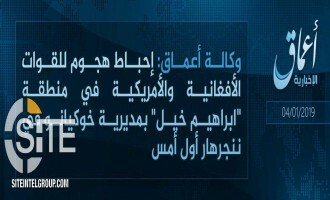 The Afghan Taliban claimed killing two American soldiers in an attack in Muhammad Agha district in Logar province of northern Afghanistan. 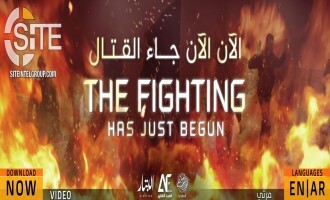 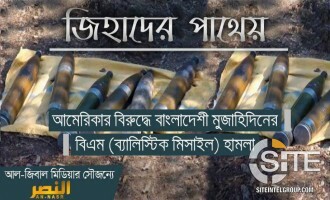 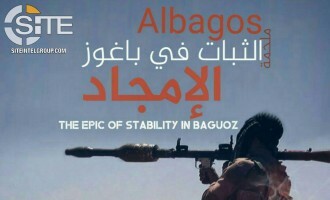 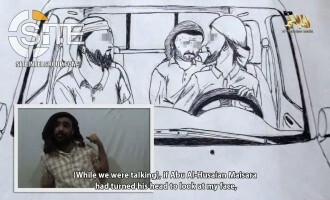 An al-Qaeda (AQ)-linked group released a video showing what it described as Bangladeshi fighters attacking U.S. forces in Afghanistan. 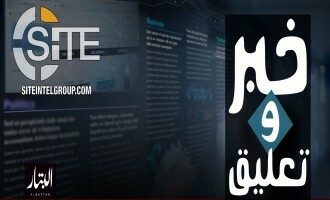 The Afghan Taliban promoted its suicide attackers in the 12th episode of its "Caravan of Conquest" video series and highlighted the March 2017 7-man raid at PD6 in Kabul and the May 2017 suicide bombing on a U.S. military convoy in Nangarhar. 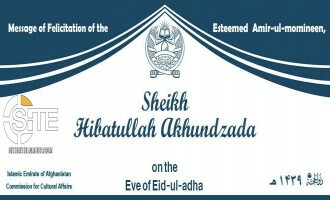 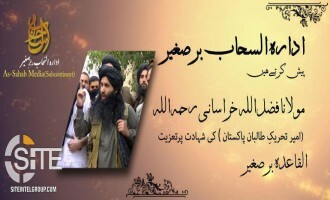 Afghan Taliban Leader Boasts of Success in War, Expresses Willingness for Direct Negotiations with U.S.
A statement attributed to Afghan Taliban leader Haibatullah Akhundzada for the occasion of Eid al-Adha boasted of the group's success and what it describes as America's failure in the war in Afghanistan, and expressed willingness for direct negotiations with the U.S. 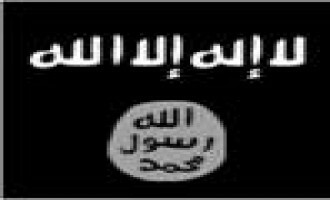 The Afghan Taliban criticized General John Nicholson, the top U.S. commander in Afghanistan, for encouraging its fighting the Islamic State's (IS) Khorasan Province, arguing that such a remark provides propaganda to the IS against Taliban fighters.